There used to be a time when the drive-in theatre represented the golden age of watching movies. Indianapolis used to be teeming with these great theaters with once being home to as many as 20. Sadly, the indoor comforts of cinemas have killed off most drive-in theaters with just around 350 still existing in the whole United States. However, there are still a few who cling onto the nostalgia and romance of the drive-in movies. With just a few remaining places left in and around Indianapolis, you can still find places to re-live all the old- fashioned cinema experiences of yesteryear. So whether you’re taking your entire family out for a movie night, or trying to capture the old, romantic feel by bringing a date along with you, there’s no doubt that you’re in for a unique experience. 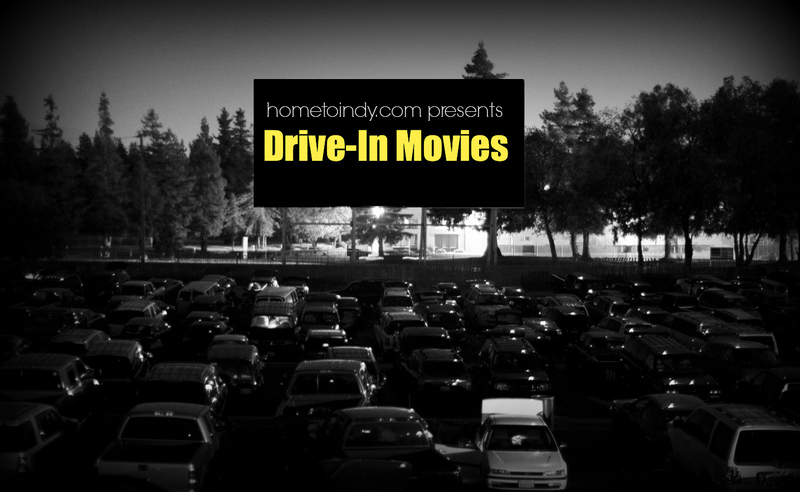 Here’s a few drive-in theaters in Indianapolis and the surrounding areas that you might like to try. With so many drive-in theatres across Indianapolis already closed down, Tibbs stands as the last surviving remnant of the era of drive-in theaters in area. Tibbs is actually one of the largest drive-in theaters in the Indy area with space enough for around 1600 parked cars spread across 4 different large screens. Drive-in theaters have upgraded their technology since their first screening, with Tibbs playing their movies through a state-of-the art digital projector and all the sounds from the movies being transmitted through the FM radio speakers of the cars. Tibbs Drive-in Theatre shows two movies per night on each of the four screen which lets movie-goers enjoy two different movies for the price one. Just 15 miles south of Indianapolis along Kentucky Avenue is the CenterBrook Drive-In Theater. With almost 65 years of service, CenterBrook was founded in 1950 and is the last Drive-in left standing in Morgan County. The theater offers two movies per day starting at 9PM. The theatre uses FM radio to channel the sounds and will play movies even if it’s raining. You can make an entire family night out at the movies as dogs, sports and other recreational activities are permitted on the grass lawn. Aside from movies, the place also features plenty of other activities such as arcades, a kid’s playground, and also a grass lawn where people can sit back, relax and just stretch their legs. Another great outdoor theater that’s just 15 miles from Indianapolis is the Canary Creek Cinema in Franklin, Indiana. The cinema is actually home to seven indoor theaters but also the last standing outdoor drive-in theater in the county. The theater plays two different movies per night starting at 9:30PM. Like most drive-in movie theater’s nowadays, the sound is played through the car’s FM radio, the frequency of which will be given after getting the ticket. The Canary Creek Cinemas hosts the movies in the south parking lot of the cinema complex and tickets go for the same price as the indoor cinemas.